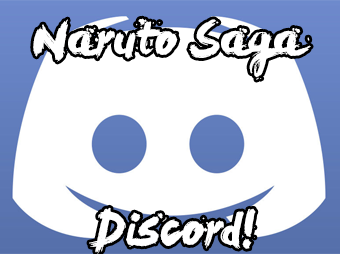 Naruto RP Saga » Ninja Scroll » Clans » Saiyan Finished! Clan History: Originally scattered, the Saiyan clan came dangerously close to being obliterated. The countless battles endured over century's had waned the Saiyan's down to just above a handful, with obliteration looking them dead in the face the clans leader at the time took on a daunting endeavor, to reunite the clan in one place. The clans leader was a bright young revolutionary known as Kayle. Threw massive effort and perseverance most of the clan was reunited in the shinobi village of Konohagakure. The coming together was only the beginning in the grand scheme of things as Kayle was bound and determined to never let his clan, no his family, to come so close to being wiped out again. Kayle foreseen more struggles coming there way and set out on a Crusade to be prepared the next time any conflict would arrive. He commissioned the invent of the clans battle armor in many variants as well as devices that would help them to gauge there opponent better. Many a Saiyan died trying to have fun or underestimating there opponents in a fight, to fix this the Scouter was made to read how much chakra a opponent had so that the Saiyan would at least somewhat know what they where about to get into. The years went on and the clans numbers grew exponentially. From a early age all new members of the clan where taught to fight and to make the best of there ability's. The clan began to put out many young high ranking shinobi that some other clans showed resentment. The average rate of Saiyan shinobi making jounin rank was astounding, most only being twelve or thirteen. Saiyans have an inborn need to fight. Most Saiyans have spent their lives training to become stronger so that they could prove themselves in battle, this tradition has not been forgot. Where the Saiyans will become to rule the battlefield or fade to a distant memory remains to be seen. Kekkei Genkai Description: Kaio Ken is a Kekkei Genkai born from extreme chakra control, so much so that members of the clan have a easier time controlling the chakra outside of the body. The Kekkei Genkai allows the user to form various blasts/balls of chakra outside of the body without having to form hand signs, this in turn allows for less time taken up my forming signs. Due to the heavy training as children they get a +1 in taijutsu and a +1 in ninjutsu. Drawbacks: Due to the intense physical aspect of there training, all Genjutsu and Bukijutsu techniques get a +1 effectiveness against them. The clan members also can never learn Bukijutsu, Genjutsu or Kugutsu due to there prideful nature. Also members must take Foolhardy as a negative trait and cannot balance it with a positive. 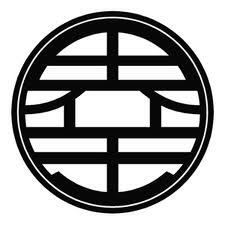 Thanks to the the clans heavy focus on hand to hand combat and throwing chakra around as a weapon, any ninjutsu requiring hand signs are harder for them to learn causing a 20% increase in word count when learning them. Another drawback is thanks to there habit of throwing around chakra, chakra Sensory type shinobi have a much easier time finding them. Cost:10 chakra for first blast + 5 additional for each extra blast during the same turn. Description: One of the most basic attacks a Saiyan child learns is the Basic Chakra blast. The user gathers chakra in the palm of ether hand and creates a ball of chakra to throw at the enemy. The most basic of the Saiyan's attacks the blast causes notable soreness and can knock back 1 meter if it hits. Range: 1.2 cm ( Half Inch) from users skin covering whole body. Description:The user creates a aura of chakra just above the skin to stop or reduce the damage caused by ninjutsu attacks. It can block one attack of equal rank, two attacks of a rank lower, and attacks lower then two ranks below it wont even scratch it. Attacks at S rank damage are lowered by two ranks.%, Anything higher then S rank does full damage. This jutsu can't be used until the user is Jōnin Rank. Duration:Till canceled by user or users chakra drops to below 20. Cooldown:Till the user leaves thread. Description:The user's Hair becomes blonde and more spiky and there eyes become turquoise in color. The user can only achieve this jutsu after making Jounin and experiencing a massive personal tragedy that pushes there rage out of control. 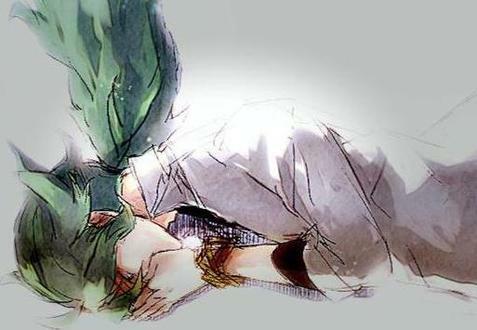 (Such as watching there best friend die for example.) They gain a temporary boost with a +1 in taijutsu, and A 3 tier increase in strength or speed but not both. During this time they lose a tier in Perception. After the jutsu has worn off the body is exhausted and takes a -1 tier to all stats till the end of the battle. The cost is 35 to activate and 15 to maintain. Note: All stats reset to normal after thread has ended. 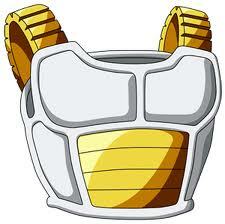 Ability/Function:The Saiyan Battle armors are designed to be resistant to physical blows. C rank and lower Taijutsu techniques that hit the vest are dissipated, and the potency of B rank Taijutsu techniques that hit the vest is halved. Basic projectiles[Senbon, Shuriken, Kunai] cannot pierce the thick plates that lines this jacket unless given some form of acceleration or chakra flow ability to boost it's potency. Kenjutsu strikes with weapons like Katana and Tanto are blocked by the plates unless used with at least a C rank technique, or unless the wielder is at least B rank in Kenjutsu. History:The Basic Saiyan Battle armor was designed by Kayle to better help his clan survive battle on the front lines, it was developed around the Jackets most of the shinobi country's have there Chunnin wear. The basic plans for this armor type was just a basic template for the member's of the clan to make as they made at least chunnin rank. Variations of this type of armor vary from person to person. Each member who wants this armor or a variant of it must buy it at the custom armor shop, Also they may customize it as they see fit, however the cost may go up if function is modified. Ability/Function:The scouter helps the user to detect chakra levels of a opponent to gauge the rank or chakra left. The target of the scouter has to be in sight and as such the scouter cannot be used to find a hidden enemy. The effective range of the scouter to measure chakra levels is limited to 30 meters. It also has a built in wireless radio that transmits signals using electromagnetic waves with frequencies below those of visible light, which are then recieved by other radios tuned into the same frequency, and are useful for long range communication up to a range of 2 kilometres. However, this form of communication can be intercepted by certain devices, and as such is insecure. The scouter may have any color lens and may also be customized by the individual. The scouters are high maintenance and very easy to break, if broken they may be reforged for a price. Note: The price may increase for any added function. History:The scouter was invented to keep the young hot headed member's of the clan from getting into fights bigger then they could handle, As such, using hard to find electronics Kayle created the first scouter. This basic model is the blueprint for the one's that the clan members are taught to make, however, due to the high maintenance parts it is expensive. Note: These are just the plans, they are not free and the member much app them like any other items. Specify +1 to usage in Ninjutsu and Taijutsu. Increase the percentage increase to 20% or higher. It's not too difficult to circumvent given the fact that you are able to use a variety of techniques without hand seals because of the clan, anyhow. Are those items free, or just unique ones able to be bought by clansmen? Basic Chakra Blast: Totally fine. Just state if it causes bruising or anything (in accordance with Jutsu Guidelines). Chakra Aura: No problem with this. 50% is vague though. Maybe 2 degrees of burns less, 2 inches less of cutting, or just plain 2 ranks lower in damage. Super Saiyan: This should have some requirements, like either a player-character friend dying or paying to have an NPC do it. +3 to Speed or Strength (which I think you should choose upon unlocking and have it set, it shouldn't be dynamic) and +1 to Taijutsu techniques in exchange for -1 to Perception, 35 to activate and -10 per post.....this is unbalanced. -First off, you can't have a passive +1 to techniques any more (or at least without a truly insane chakra cost); you can only have it be for the first technique used after the boost was activated. -Your +3 would only be legal if the jutsu only gave the +3 to the stat, and then a drawback. -I think the afterburn effect should be a bit larger to be considered 'exhausted'. Fix this up and you're on the verge of approbal, then!